A specialty trucking operator faces daily risks during the flow of their operations. As an operator of a specialty trucking business, you will be required to possess a certain amount of commercial trucking insurance coverage to comply with the different requirements of the state and the industry. A reliable insurance company will make it their top priority that you are fully compliant that your operations will not be hampered. 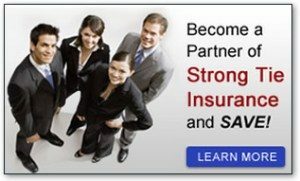 Insurance companies like Strong Tie Insurance takes pride in offering customized policies that will answer for all your insurance needs and requirements. They offer comprehensive solutions and cheap truck insurance quotes that are uniquely tailored to the specific needs of commercial truckers. In California, the state law requires that all commercial vehicles must have adequate insurance so that they would be allowed to use public roads. There are even specific laws that indicate the type of insurance coverage you need for the particular commercial vehicles in California. If you are an owner of a container hauling business, it is imperative that your driver, the passengers, and the third party motorists are fully insured and covered for the cost of property damage, medical care, and others. Strong Tie Insurance offers several types of coverage such as Motor Truck Cargo, Physical Damage, General Liability, Excess Liability, Trucking Workers Compensation and others. Their reliable and effective insurance coverage services a variety of industries, from small, medium and large companies. Their comprehensive trucking insurance services are offered to business customers in California particularly Downey, Bell, Montebello, Huntington Park, Gardena, Los Angeles, Van Nuys, Fontana, and Riverside. They also operate in Miami, Florida. Their services are also available at Washington, Oregon, Texas, Nevada, and Arizona. STI is committed to providing undisputed service to their clients that is why their service is available 24/7 and across diverse industries. The industries they offer services to are: grocery, produce, and frozen food delivery; moving companies; building material transportation; sand, dirt, and gravel; automotive hauling; container hauling; livestock; restaurant supplies; general freight and anything that will require heavy delivery like materials or furniture. The cargo that your fleet transports are of a significant value both to your business and your customers. A simple accident could cost your clients lots of money, delays and a lot of inconveniences. It could also cause your business loss of income and clients! Covering your cargo trucks with a comprehensive insurance policy will save your business financially by providing the funds you need when you incur a liability that needs to be paid due to damaged or lost cargo. There are factors that is beyond your driver’s control. Freight may be damaged due to a crash, fire or accidents caused by a third party or outside forces. In the instance that your freight has been damaged or spilled on the road because of an accident, our motor truck cargo insurance will cover all liabilities. It will also answer for any legal expenses resulting from a client who is demanding for compensation or payment for miscellaneous costs that are related to their cargo.